June 13, 2013  Two years ago, she leaped to her husband's defense and head-slapped a man who was trying to smear the media mogul with a plate of shaving cream. But now, News Corp. says, Rupert Murdoch has filed for divorce. June 28, 2012  The company plans to split its publishing and media/entertainment operations. It's responding to investors who don't want to be part of the slow-growing world of newspapers. 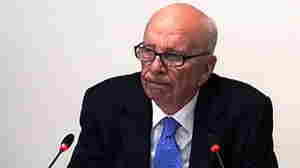 June 26, 2012  Rupert Murdoch's media and entertainment giant confirms it is considering whether to divide its holdings. That would put its slow-growing publishing arms into one unit. 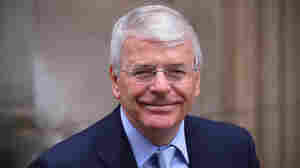 June 12, 2012  Major said the media mogul insinuated that he might lose his empire's support if he didn't change his policy toward the European Union. May 1, 2012  There has been a "lack of effective corporate governance" at News Corp. and a culture of problems that "permeated from the top," a British Parliament committee concludes. It's scathing report follows the so-called hacking scandal in the U.K.
April 26, 2012  Media mogul Rupert Murdoch testified today that lower-level executives were the ones behind a cover-up of the so-called hacking scandal and that they kept him from knowing about what had happened. 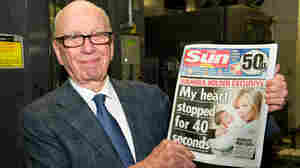 April 25, 2012  An inquiry continues into the ethics of the British news media, and in particular the actions of some tabloids owned by Murdoch's News Corp.
Focus On Murdochs Shifts: Were They Bamboozling British Politicians? April 24, 2012  At a London inquiry, the media moguls are facing questions about whether they have been trying to strong-arm politicians into supporting their bid to control BSkyB, the satellite broadcaster. 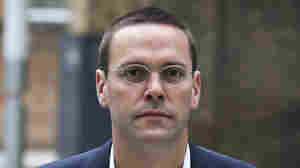 April 3, 2012  The hacking scandal that has ripped through Rupert Murdoch's newspapers in the U.K. has now led to son James Murdoch's decision to step down as chairman of the satellite broadcast giant. October 21, 2011  From readers of my column on NPR's coverage of the bribery and phone-tapping scandal at News Corp. comes a mathematical measure of bias, discovery of Fox News in the trenches, overworked Shakespearean tragedies and a request to pass the steroids. Play Mean or Play Nice: How Did NPR Manage News Corp. Coverage? October 18, 2011  For part two of our Murdoch coverage analysis, here's a peek inside the newsroom from one of NPR's editors. Deputy Managing Editor Stuart Seidel describes how the newsroom coordinated the unfolding of the News Corp. scandal. October 17, 2011  What does the coverage of the scandal at News Corp. say about NPR and its critics? September 20, 2011  A News of the World investigator hacked into 13-year-old Milly Dowler's cellphone. She was missing at the time. His actions may have affected the search. And they gave her family hope she was still alive. Instead, she had been murdered. 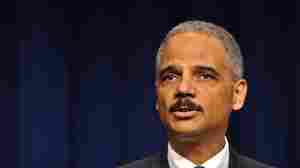 August 24, 2011  Attorney General Eric Holder told relatives of people who died in the Sept. 11 attacks that a preliminary criminal investigation into the allegations had been opened. 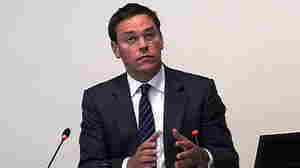 But even if the hacking took place on U.S. soil, investigators could run into trouble with the statute of limitations.